In August, we took a family camping trip to Pictured Rocks National Lakeshore located along the southeast shore of Lake Superior in Michigan’s upper peninsula. It is a beautiful National Park with remote campgrounds scattered throughout and scenic hiking trails connecting the campgrounds and providing amazing views of Lake Superior. The real gem of this park, however – the attraction that gives the park it’s name – is the colorful shoreline that can only be seen from offshore. Here are a couple of images from the trip. 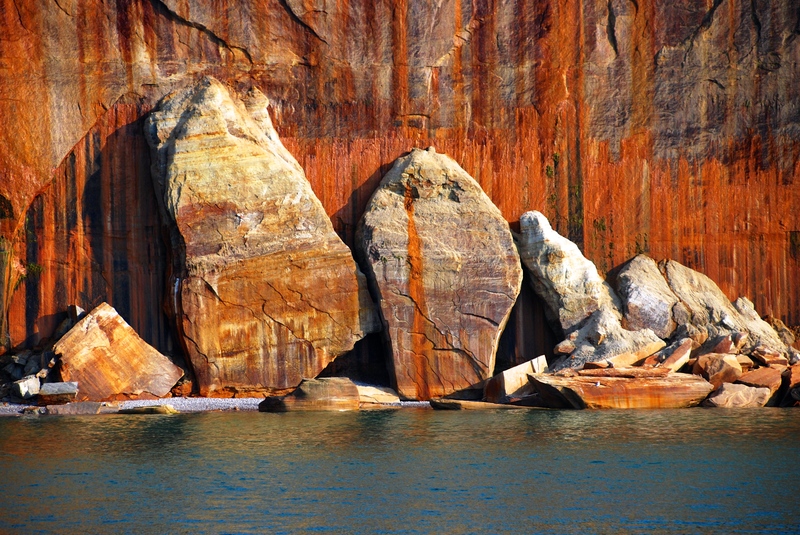 Visually impressive features at Pictured Rocks National Lakeshore. 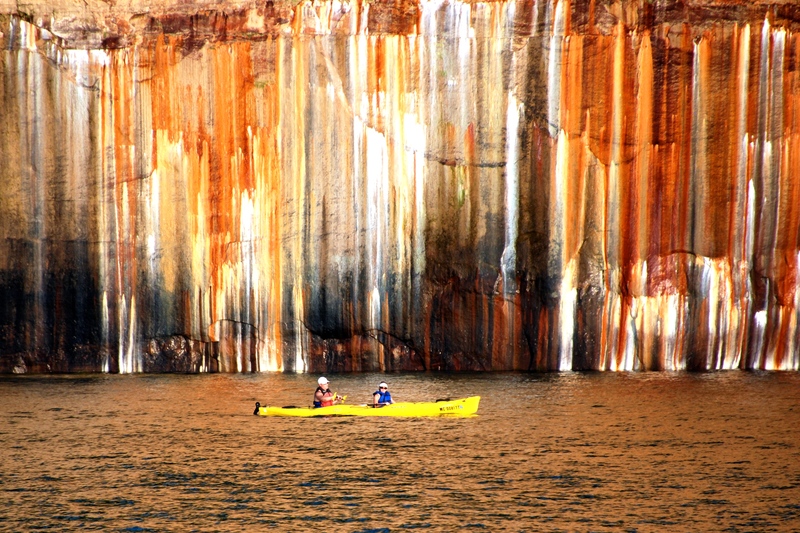 Kayaking along the strikingly colorful cliffs of Pictured Rocks National Lakeshore. The Contest Winner! I am excited to announce that the above image with the kayak was chosen as the weekly winner of the National Parks photo contest known as “Share the Experience.” You can visit the contest homepage at http://www.sharetheexperience.org to see all the photos and vote for your favorite. As a result of my photo being selected as a weekly winner, I’ve won a one-year pass to all National Parks and Federal lands. Plus, now my photo is eligible for the Grand Prize contest with over $25,000.00 in cash and prizes! Gary just brilliant! I tried to send it on to Larry M without success. I have been bragging about your photography and wanted to back it up. Hope you win. It’s a great shot. All photos taken by myself, Gary Donaldson. You may use a photo, credit included, as long as it is not being used for a profitable endeavor. Otherwise, we can discuss the purchase of rights to use one of my photos. Thanks for the interest!